*astTECS brings unique telephony solution to health care sector which facilitates better and efficient communication as compared to a traditional EPABX. It help to improve the communication between patient and doctors or hospital staffs and enhance productivity while keeping the cost under control. Smart Phone with Wi-Fi Client: *astTECS IP-PBX supports smart phones as extensions within Wi-Fi range. This feature helps the doctors to access easily while roaming around the hospital premises. Code based Alarm: *astTECS IP PBX enables emergency calls from any extension to the emergency team members through their mobiles / extensions. 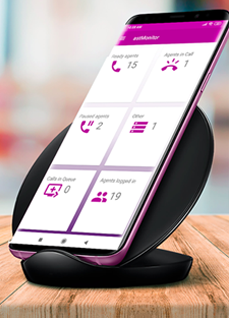 Appointment scheduling/reminders : *astTECS IP PBX allows you to schedule appointments through IVR system. SMS can be sent automatically to patient / doctors to remind the upcoming appointments. *ast HS-50 – For 50 Extension. *ast HS-100 – For 100 Extension. *ast HS-200 – For 200 Extension. *ast HS-300 – For 300 Extension. *ast HS-500 – For 500 Extension. *ast HS-1000 – For 1000 Extension. *astTECS brings unique telephony solution to Health Care sector which facilitates better and efficient communication compared to a Traditional EPABX. 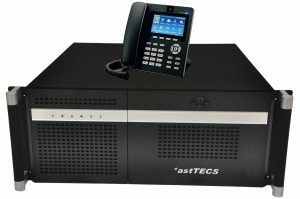 *astTECS – IP PBX is flexible to adopt & integrate with your existing infrastructure. It will help to improve patient care and enhance productivity while keeping the cost under control. *astTECS IP PBX supports Smart phones as extensions within Wi-Fi range. This feature helps doctors roaming around the Premise / nearby location to be accessed easily.Moreover, there is no extra cost incurred and mobile bills can be saved. *astTECS IP PBX will enable emergency calls to be made from any extension to the emergency team members through their duty mobiles/extension. *astTECS IP PBX will bring the paging system with one button call from your extension. *astTECS IP PBX will help to schedule appointments through IVR system. SMS can be send automatically to patient / doctor to remind the upcoming appointment. *astTECS IP PBX has built in web based video conferencing facility. Video Calling can be initiated with doctors for urgent case discussion / consultation at anytime. *astTECS call recording software can record all the calls for quality monitoring and disputes resolution. It can filter voice files based on source, destination, time & duration.